ChargePlace Scotland is a national network of electric vehicle charge points available across Scotland. The ChargePlace Scotland network has been developed by the Scottish Government through grant funding of Local Authorities and other organisations to install publicly available charge points. Recipients of the funding are known as 'Hosts'. A Host is the designated owner of the charge points they have installed and are also responsible for maintenance and general upkeep of their charge points. The ChargePlace Scotland network is operated on behalf of the Scottish Government by Charge Your Car Ltd.
ChargePlace Scotland provides a simple and convenient way for EV drivers to travel across Scotland with access to a range of charging facilities. Drivers can access charging through the use of a ChargePlace Scotland Access Card or online at www.chargeplacescotland.org. To register for the network, you will need to provide some basic details along with a debit/credit card. Please click on the 'Join us' tab above for more information, or call the ChargePlace Scotland Customer Helpdesk on 0141 648 0750. Register online with ChargePlace Scotland (CPS) by filling-in the driver sign-up form. 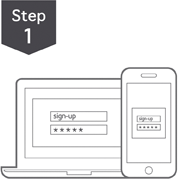 Once this is complete, you can sign-in to your CPS portal and also use the same details to sign-in to the CPS mobile website. 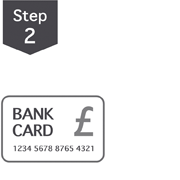 Before you can order and use an Access Card you will need to sign-in to your CPS portal to register a payment card for charging session pre-authorisation . 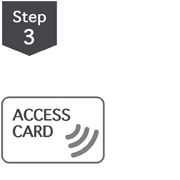 Once you have registered and added a payment card, you can order an RFID Access Card, allowing you to access all CPS charge points. Initial cost = £20 per annum. You are now ready to start using the CPS network. If you need any assistance when charging call our Helpline on 0141 648 0750. *All card details are held securely with and all payments are taken via PayPoint©. Please read the privacy notice. For more information please visit our Help centre. ChargePlace Scotland operates by providing a single national charge point management system to which charge point owners can connect charge points, making the posts visible to all Electric Vehicle drivers via the ChargePlace Scotland live status map. 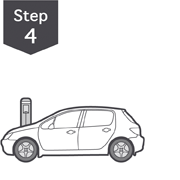 ChargePlace Scotland enables charge point owners to set the tariff for each charge point, collect payment for usage, and provides alerts in the event of a fault. Become part of the national recharging network and promote your charge points to electric vehicle drivers across the UK. Promote your charge points on the charge point map available on this website and the CPS mobile website. Set your own visibility, tariffs and access rights – the charge point management system (CPMS) is flexible enough to allow you to offer different access rights and tariffs for different charge points and user groups such as fleets, employees and visitors). We can provide you with free advice if you wish. Receive payments from revenue collected from EV drivers by CPS on your behalf. CPS operate a 24/7/365 helpdesk and you or your designated charge point maintenance provider will be informed of any issues. Choose the CPS maintenance support package for a fully managed service. Contact us to discuss your individual requirements and find out more.